The garden strawberry, Fragaria x. ananassa, is a choice fruit crop for home gardeners as its fruit is generally the first to ripen in early summer. This hybrid of the species Fragaria is cultivated worldwide for its bright red, sweet, juicy, and aromatic fruit. Although it is called a berry it is technically an aggregate accessory fruit. The fleshy ‘berry’ is a receptacle that holds up to 200 individual ovaries that dot the outside. These ovaries (achenes) are the actual fruit of the plant and each one contains a seed. The strawberry is a low-growing, shallow-rooted perennial. These roots originate at the base of the crown and remain in the upper 6-9” of the soil, spreading out a foot or more. Strawberries are self-fruitful and different varieties are not necessary for pollination. Pollen will be transferred by wind or pollinating insects such as bees so insecticides should not be sprayed when plants are in bloom. Most strawberry plants fall into three categories: June-bearing, everbearing, and day neutral. June-bearing plants form their flower buds at the terminal of crowns and branch crowns when the length of daylight shortens in September, October, and November. These buds develop into blossoms when growth resumes in the spring. Everbearing strawberries form flower buds in the late spring and early summer and in September, October, and November. The blossoms that develop in the early summer produce fruit in August, September, and October but removing the blossoms for the first month will result in a larger harvest. They will also develop flower buds in the fall which will blossom and develop fruit in the spring. The overall fruit production by both types is about equal. Everbearing plants do not produce as many runners June-bearing and will have diminished production after a few years if not replaced. Day-neutral will bear fruit from May to the frost but otherwise are similar to everbearing in runner production. Strawberries may be grown from seed although the subsequent seedling plants will not develop true to the variety. The most common methods of propagation are by runners and crown division. Runners are produced in the leaf axils near the ground. The runner extends over the ground and develops leaves and then roots which become a daughter plant. These runners can be moved to keep them within the boundaries of their rows. Once the roots have settled into the soil the new plant has an independent existence from the mother plant. Daughter plants can also send out runners before they are fully settled in themselves. These tertiary plants can be removed to encourage strong development of the original daughter plants. Runners that develop in the fall should be removed to encourage bud and branch crown development. 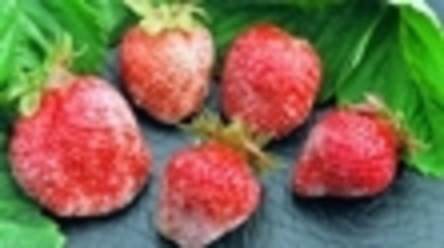 Everbearing strawberries are best propagated by crown division as they produce few runners. On both June-bearing and everbearing plants some buds in the leaf arils develop into crowns, especially if runners are removed. Multiple crowned plants may be divided by breaking apart or by cutting with a sharp knife. When dividing crowns, it is important that each section receive an equal amount of the root system, at least 5-10 roots per crown. Each crown should be at least ½” in diameter and length. These plants should not be allowed to dry out after division and should be planted as soon as the ground can be worked in the spring so that they can establish their root system before warm weather sets in. Most of the existing leaves should be removed at planting. Flower stalks should be removed until the plant is growing vigorously, usually around July 1. Follow the planting instructions below. Site selection and planning are the most important factors in raising strawberries. Planning should start six months to a year before plants are placed in the ground by checking the pH level and fertilizer requirements. The soil pH should be in the 5.8-6.5 range and can be determined by a soil test from the UConn Soil Nutrient Analysis Laboratory. Adjustments for a low pH may take up to six months to be fully effective. The same soil test will give an approximate level of organic matter. Strawberries prefer a soil with 6% organic matter. Amendments for organic matter should also be incorporated 6 months to a year before planting. The year before strawberries are planted a cover crop of buckwheat or winter rye can be grown and then tilled in to the soil before it goes to seed. Alternately, manure, compost, leaves, hay, or straw may be tilled in a year before so that it has time to decay in the soil. Strawberries require full sun (8 hours per day). They should not be planted in low-lying areas where cold air may settle in the spring. Planting on a gradual slope will allow cold air to move lower than the plants and prevent frost injury. The shallow rooting system of strawberries means that it is easily affected by drought or excess water. Strawberries should be planted in soils that have high organic content that has water-holding capacity but still drains after heavy rains. Raised beds can be an advantage if the area remains wet in late spring. If the soil does not hold water irrigation may be needed. Soaker hoses, if used, should be installed at the time of planting. It is important that plants receive adequate and consistent water (1-2” per week during flowering and fruiting). Black plastic is often used as a weed barrier and should be installed prior to planting. If this practice is used 6” holes should be cut where the plants will be placed. Runners will have a difficult time establishing themselves through this barrier and therefore it works best for hill systems where runners are removed regularly. 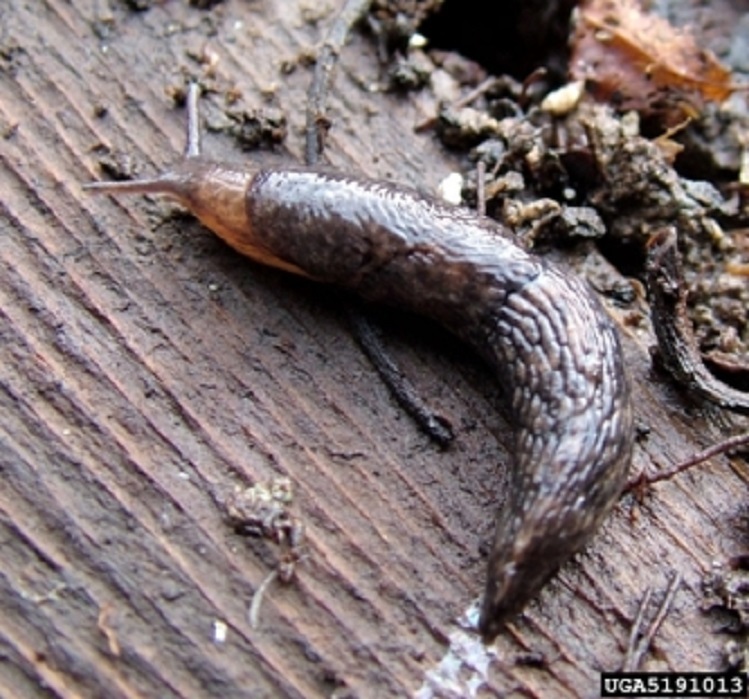 Sawdust, dried grass clippings or bark mulch can be used on row systems although slugs may be attracted to the moist conditions. Strawberries should not be planted on newly plowed or tilled grass sod. 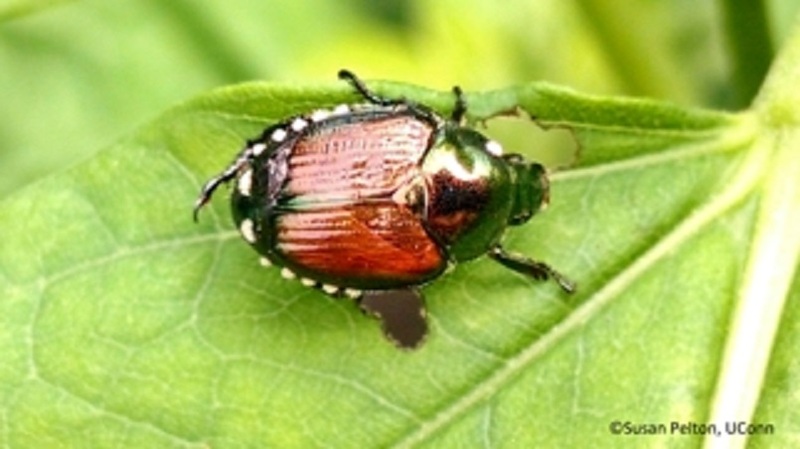 White grubs, the immature (larvae) form of the Scarabaeid beetles (Japanese Beetle, Northern Masked Chafer, May Beetle, and June Beetle), are found in turf and sod. The ¾ to 1 ½” long, thick bodied, white grubs feed on the roots of strawberry plants and often cut plants completely off just below the crown. Most damage usually occurs between the time of planting and runner development and can severely weaken or kill the plant. Wait at least one year after tilling before planting strawberries in the plot. Land that has been used for tomatoes, potatoes, peppers, eggplant, or raspberries should be avoided for one or two years. These crops are susceptible to Verticillium wilt (Verticillium dahlia), a soil-borne fungal disease that can remain in the soil for three or more years. See the below chart for resistant varieties. Spring planting gives the longest time for plants to become established and produce runners and daughter plants. Abundant soil moisture and relatively cool temperatures create good conditions for plant establishment. Early spring planted crowns will form new roots in July, forming them on the crown above the old roots. Roots live one year to be replaced by new roots higher above on the crown. Be sure that nursery stock is dormant as plants with considerable growth have a lower chance of survival. May reduce the amount of weeding. Fewer runners and fruitful daughter plants will be produced. Runners will not be produced with August plantings making this an advantage for hill plantings. High temperatures will require the use of irrigation to get plants established. Flower development should be normal and plants should bear fruit in two months. These plantings will produce no runners but have good crown growth and high yields the following spring. After fruiting, daughter plants are harvested and held in waiting beds until fall when they can be planted in new beds. This is a good method to use for crop rotation. Plants should be purchased from reputable nursery stock and inspected for disease and injury. 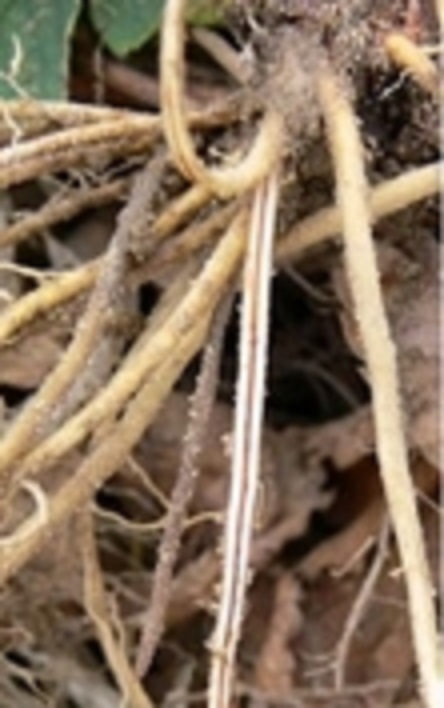 Roots should be straw colored, not black (root rot), and should not have a reddish core (Red Stele disease). The crown and roots should be free of mold. If plants cannot be set soon after purchase or delivery they should be stored as close to 32°F as possible. Or set them in a trench, lightly covering the roots with soil. Although different varieties are not necessary for pollination growing two or more varieties will maximize the harvest period.Plants may be ordered from December-March but should be shipped as close to the planting date as possible. Plant on a cloudy day or in the late afternoon. Never expose the roots to drying conditions, they may be submerged in water for a few hours while planting is done. Spread the roots out in a fan shape and pack the soil lightly around them. Planting holes should be deep enough that the roots don’t fold over in the hole. Strawberry plant depth should be just above the highest roots on the crown, at the midpoint of the crown or a bit higher (center image below). Remove any visible blossom buds, runners, and old leaves, leaving 2-3 unfolded leaves. Water plants immediately after setting. Beds should be weeded or lightly cultivated. June-bearing Allstar A vigorous plant that produces runners freely, has large, reddish-orange berries with a mild, sweet flavor. Shows some resistance to Powdery Mildew, Red Stele, Verticillium Wilt. Cavendish A very productive plant with large, firm fruit but an uneven ripening habit. Highly resistant to Red Stele, some Verticillium Wilt resistance. Earlyglow An early variety with high quality fruit that decreases as the season progresses. Vigorous runners. Good resistance to Red Stele, some resistance to Verticillium Wilt. Honeoye A winter hardy plant with good productivity and excellent, large fruit with high yield. No soil disease resistance. Resistant to Powdery Mildew, Leaf Spot. Jewel A plant with moderate winter hardiness, large flavorful fruit. No soil disease resistance. Resistant to Powdery Mildew, Leaf Spot. Sparkle A late mid-season plant with dark red, flavorful, but somewhat soft fruit. Produces many runners. Resistant to Red Stele. Wendy A vigorous plant with medium-sized fruit with good flavor and color. Vigorous runners.Flowers early and may suffer frost damage. Resistant to Powdery Mildew, Red Stele. Everbearing Fort Laramie Large, very bright fruit, blooms May-August. Plants are cold hardy. Resistant to Leaf Spot. Ogallala Large aromatic although soft fruit. Resistant to Leaf Spot. Ozark Beauty Large (up to 4") fruit, consistent yield. Resistant to Leaf Spot. Day-Neutral Seascape A plant with large, firm, flavorful fruit and high production. Susceptible to Leaf Spot and Red Stele. Tristar A flavorful and high-yield, although medium to small-size fruit. Resistant to Powdery Mildew, tolerant of Verticillium Wilt. Tribute Flavorful medium-large berries from spring to fall. Resistant to Red Stele and Verticillium Wilt. Set single rows 3’ apart on center with plants every 16-13” along each mounded row. All flower buds should be pinched off the first growing year to encourage crown and runners to fill in the area with daughter plants. Runners that expand into the alleyway between rows can be removed. A full season of growth will result in rows that are 14-18” wide with 2’ of space between rows. This system is best for June-bearing cultivars. Plants in this system can become overcrowded, diminishing air circulation and encouraging disease and should be thinned to no more than six plants per square foot. This system is like the matted row but prevents crowding from occurring from the beginning. It starts with plants placed 18-24” apart in rows that are 3’ apart. The first 2-6 runners are spaced around the original plant, no closer than 4”, and all other runners are removed as they develop. This method is more labor intensive but results in higher yields, larger berries, and fewer disease issues. This system is the best method for Everbearing or Day-neutral varieties that produce fewer runners. In this system, no runners are allowed to take root. Removing the runners causes the mother plant to develop more crowns and flower stalks. Berry sizes and yields are larger but plants must be replaced more often. Multiple rows of are arranged in groups of two, three, or four plants with a two-foot walkway between each group of rows. Raised beds are a good option in areas where soils are heavy, compacted, or drain poorly. Soil depth should be at least 14” 9-12” above the walkway level. Any system (matted, spaced matted, or hill) may be used. Irrigation is essential for raised beds as the can dry out quicker than conventional plantings. Plantings in raised beds may suffer more winter damage through frost heaving and loss of straw mulch to winds. Fertilizer is applied at several times during the season; before planting, after new plants have settled, and again in late August. See our fact sheet Suggested Fertilizer Practice for Strawberries for full fertilization information. Pick fruit in the morning every two days over a period of two weeks. June-bearing strawberry season lasts about 5 weeks in Connecticut. Pick berries so that the calyx and at least one inch of stem remain on the berry. Pick all ripe berries as fruit left on the vine will become over-ripe and can encourage disease and insect pests. Unripe fruit will not ripen after picking. Fruit should not be washed until it is ready to be used to avoid softening and decay. Do not leave picked fruit in the sun. The quick removal of fruit heat by refrigeration (32-40°F) will prolong its shelf life. Preparation for the next season begins immediately after harvest. Renovation is the process of thinning out and invigorating plants for continued production and the reduction of disease carrying spores. Plants that have borne fruit for two to three years decline in productivity and should be removed to be replaced by runner plants. The first step of renovation is to mow back the old leaves eight to ten days after picking is completed. If this is postponed until later in the season, then the renovation process will remove the flower buds for the next year’s crop. This can be done with a rotary mower where available or hand clippers if the planting is small enough. Plants should be trimmed to 1 ½” above the top of the crown. Next, narrow the rows to a 10-12” strip with a rototiller if possible. Thin the remaining plants, removing the older plants and weeds. Apply a 10-10-10 fertilizer at the rate of 10 lbs. per 1000 square feet. Cover the remaining crowns with a thin layer of loose soil. Strawberry plants should be mulched to protect flower buds and crowns from winter cold (below 20°F) and prevent the soil from heaving which exposes roots. Wheat straw and marsh hay are good options for mulching material. Other straws, shredded cornstalks, and pine needles can also be used. Broadleaf leaves are not a good option as they will get too packed down on the plants. A 3” layer of mulch is sufficient. 3 hay bales will cover 100 square feet at a depth of 3”. It should be spread over the plants and alleys after the occurrence of subfreezing temperatures but before the nighttime temperatures drop below 20°F. Do not cover plants too early as exposure to some freezing temperatures increases their cold hardiness. Mulch should be pulled back from the crowns when new growth has begun. Delaying this action can cause suffocation, rotting, and the delay of blossoming. The mulch should be pulled back enough to permit the plants to grow but close enough that it can be pulled back over should temperatures drop below 30°F. Once there are blossoms floating row covers can also be utilized if a frost is predicted. Plants should be covered early evening and removed in the morning. Once plants are free from frost danger and are actively growing some mulch can be left close to plants to keep the berries clean and free from rot and smother weeds. Remove any remaining mulch when renovation is done. 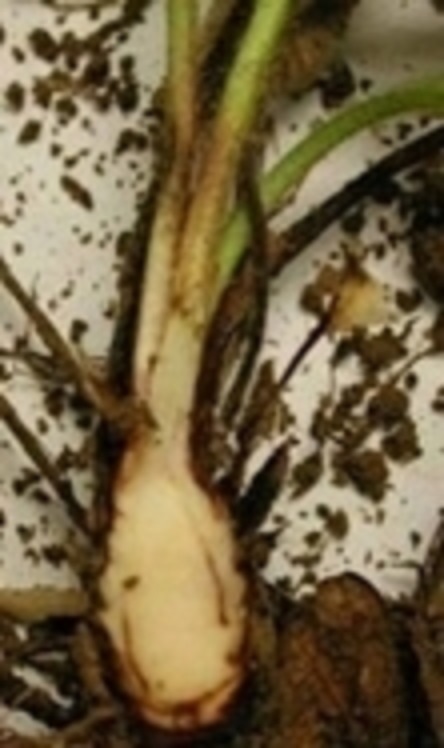 Black Root Rot Poor vigor, blackened roots in stressed plants. Minimize stress, avoid compacting soil, 3-6 year rotation. Gray Mold Light brown lesions on fruit, petals, leaves. Powdery gray sporulation. Remove infected fruit, increase air circulation.Avoid excess nitrogen, overhead watering. Leaf Spot Diseases A variety of spots and scorches on leaves. Damage may not be severe enough to affect plant health. Plant disease-free plants, improve air circulation, avoid overhead watering. Remove old tissue at the end of the season. Leather Rot Infects fruit and crowns at any stage making the fruit tough and poor tasting. 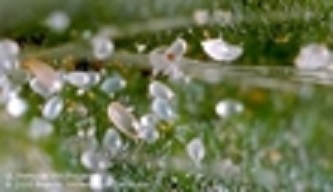 A soil-borne pathogen that is favored by wet conditions. Use straw mulch, promote air circulation. use to prevent new growth. Powdery Mildew Upward leaf curl, white powdery growth on lower leaf surface, infects flowers and fruit, overwinters on living leaves. Plant resistant varieties, thin plants for increased air circulation, use fungicides. Red Stele Disease Wilt, blue-green young leaves, red-orange older leaves, stunting, red stele in root. 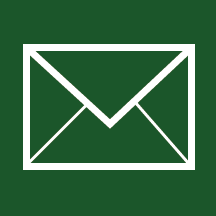 Avoid wet sites, grow resistant varieties, use fungicides. 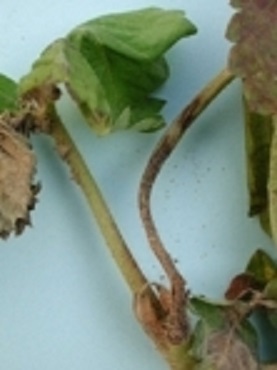 Strawberry Anthracnose Sunken, brown lesions on green and ripe fruit, pinkish spore masses, fruit mummifies in dry conditions. Plant disease-free crowns, rotate crops, straw mulch between rows, promote rapid drying, use raised beds. 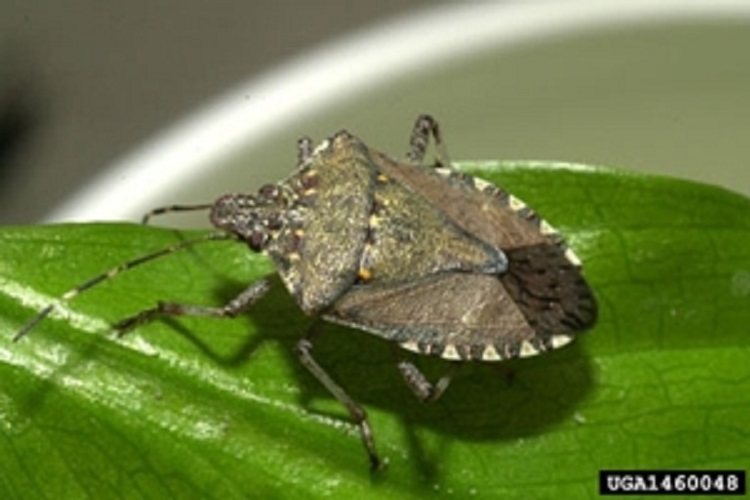 Brown Marmorated Stink Bug Sucking and piercing damage; fruit distortion, discoloration, necrotic spots, internal rot. Later ripening varieties are most at risk, plant June-bearing cultivars. (adult and larvae) Feeding damage to the roots and just below the crown. Wait one year after tilling new sod before planting. Cyclamen Mites Feed on young tissue in crown, leaf distortion, poor vigor, yield loss at high populations. Clean planting stock, scout in crowns. Spray with strong water pressure. Slugs Feeding damage to fruit, leaves. mainly at night. Slime trails. Reduce moist environments, use diatomaceous earth, beer traps, iron phosphate slug repellents. 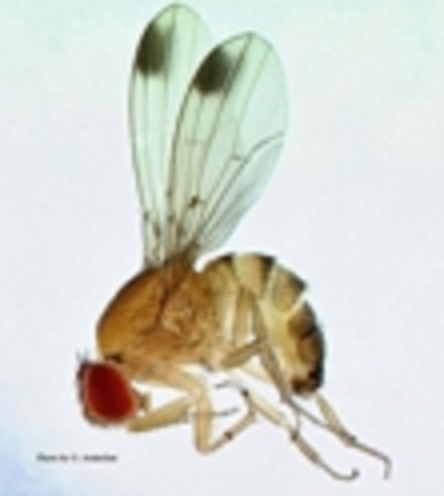 Spotted Wing Drosophila Eggs laid in unripe and ripe fruit leading to rot. Remove infected fruit, destroy, do not compost. Remove alternate hosts: wild brambles, Autumn Olive, wild grapes. Strawberry Bud Weevil Eggs laid in flower buds which drops to the ground, overwinter as adults. Monitor new flowers April and May. Remove nearby weeds, renovate after harvest. 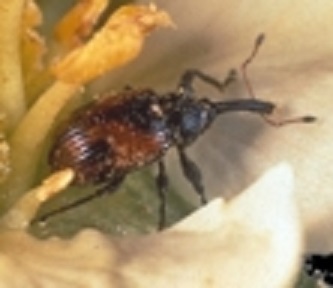 Strawberry Root Weevil Larvae feed on roots, poor plant vigor. Soil drench, beneficial nematodes, 3 year rotation. 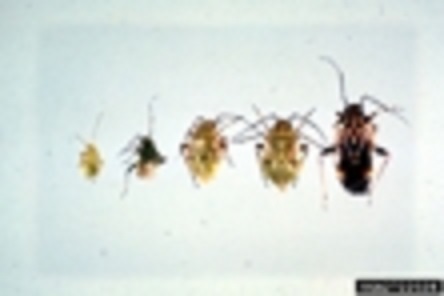 Tarnished Plant Bug Deformed, cat-faced berries. Monitor, manage weeds, insecticides. The two most common weeds of strawberries are Yellow Wood Sorrel and Field Pansy. Both can be controlled in a home garden with cultivation, hoeing, hand-pulling and rotation.